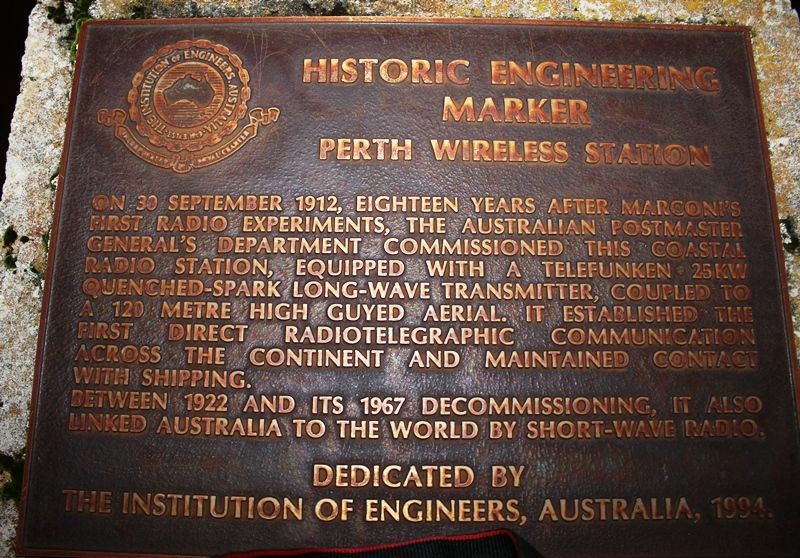 A plaque recognises Perth Wireless Station as a Historic Engineering Marker. Wireless Hill Park is a 40-hectare (99-acre) park that is the location of the former Applecross Wireless Station, an early radio station in Western Australia. The station buildings have been preserved and now house the Wireless Hill Telecommunications Museum. The site is listed in the Register of the National Estate and the State Register of Heritage Places. 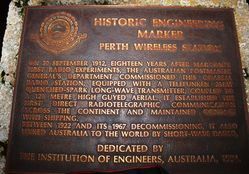 In 1909 the Commonwealth Government decided that wireless telegraphy stations should be established around the coastline of Australia, and in 1910 awarded the contract for the Perth station to Australasian Wireless Limited. 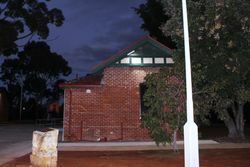 Clearing of the site and construction began in 1911, with the Applecross Wireless Station completed and officially opened on 30 September 1912. The station was initially owned and operated by Australasian Wireless, on behalf of the Postmaster-General's Department (PMG), as a commercial service for shipping. On 30 September 1912, eighteen years after Marconi`s first radio experiments, the Australian Postmster General`s Department commissioned this coastal radio station, equipped with a Telefunken 25kw Quenched-Spark long - wave transmitter, coupled to a 120 metre high guyed aerial. It established the first direct radiotelegraphic communications across the continent and maintained contact with shipping. Betwwen 1922 and its 1967 decommissioning, it also linked Australia to the world by short-wave. Dedicated by the Institution of Engineers, Australia, 1994.